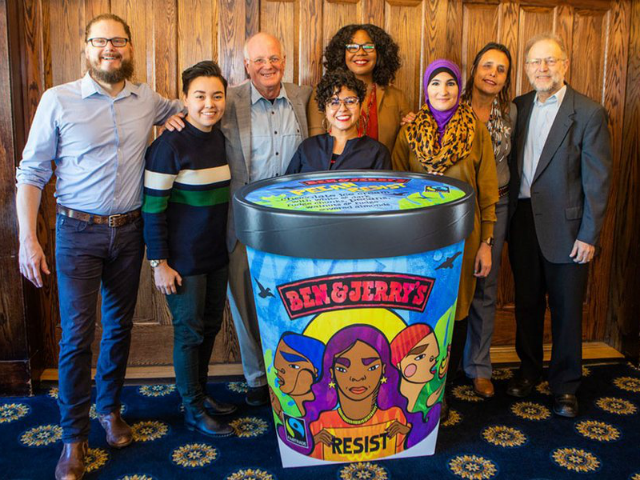 TEL AVIV – Ben & Jerry’s controversial decision to release a new anti-Trump flavor in collaboration with, among others, Women’s March leader Linda Sarsour, has prompted the company’s Israel franchise, which is owned independently, to distance itself from the ice cream giant. The limited edition flavor, entitled Pecan Resist, “supports groups creating a more just and equitable nation for us all, and who are fighting President Trump’s regressive agenda,” the American company said in a statement Tuesday. On Wednesday, Ben & Jerry’s Israel arm distanced itself from the move.